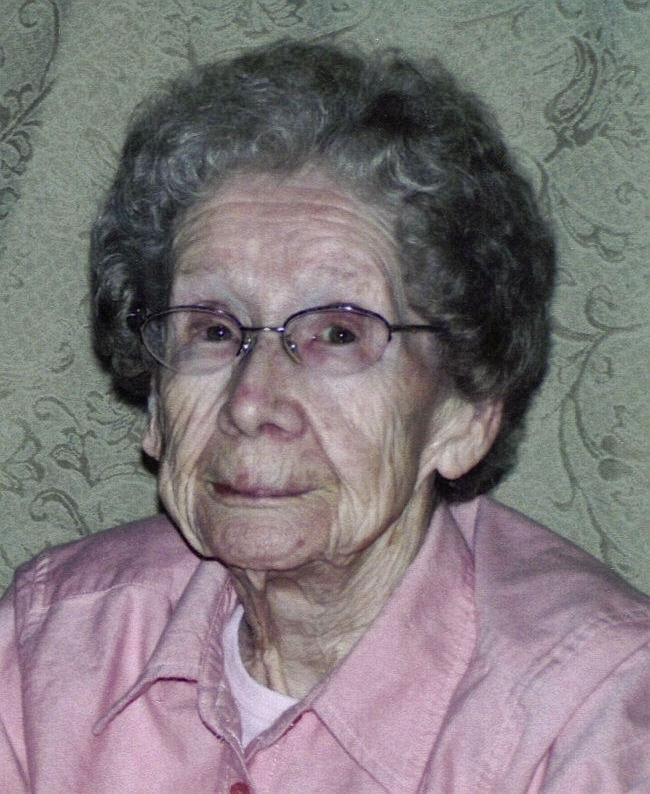 Rita M. Schneider, 100, passed away peacefully August 15, 2010 at the Good Samaritan Center in Sioux Falls. She was born on March 3, 1910 to Nelson and Mary (Schuh) Deno in Carmangay, Alberta, Canada. Rita was united in marriage to William "Bill" Schneider on October 17, 1933 in Marshall, Minnesota. They spent many years in Hawthorn, California where she worked at an electronic manufacturing company. The couple moved to Sioux Falls in 1985. William passed away in 1985. Rita was a member of St. Therese Catholic Church becoming Our Lady of Guadalupe and then of St. Joseph Cathedral. She enjoyed dancing, playing cards and gardening; especially caring for her tomato plants. She loved to travel and children were the light of her life. She was famous her french-fried potatoes and bread. Rita is survived by a son: Arnold "Arnie" (Marilyn) Schneider, Sioux Falls, SD; 5 granddaughters: Brenda (Ernie) Messmer, Oklahoma City, OK, Sheryl (Wayne) DaSantis, Albuquerque, NM, Wendy (Richard JR.) Lindsey, Shattuck, OK, Malinda Beach, Sioux Falls, SD and Tammy Fisher, Oklahoma City, OK; 4 Great-grandchildren: Brent DaSantis, Albuquerque, NM, Jonas DaSantis, Tucson, AZ, Jennifer (Mike) Huffman, Moore, OK and Anthony Fisher, Oklahoma City, OK; and 3 great-great grandchildren: Jade, Kylee and Jackson Huffman, Moore, OK. She was relojes de imitacion preceded in death by her parents, husband: William and 12 brothers and sisters. Visitation will be Tuesday, 6 PM at Barnett-Lewis Funeral Home with a Scripture Vigil at 7 PM followed by the Rosary. Mass of Christian burial will be Wednesday, 10:30 AM at St. Joseph Cathedral with burial to follow at St. Michael Cemetery. A complete obituary replicas rolex and on-line registry is available at www.barnett-lewisfuneralhome.com.